The bird in the picture looks in hope beyond its cage - perhaps into the caged world of us all? One of the most striking things John first noticed about the buildings in Ha Noi, was that most of them had iron bars on all the windows and doors. He noticed too, the numerous caged songbirds and through the creation of Caged Songbird set to draw a comparison of the caged songbird with the perhaps caged world we all live in. 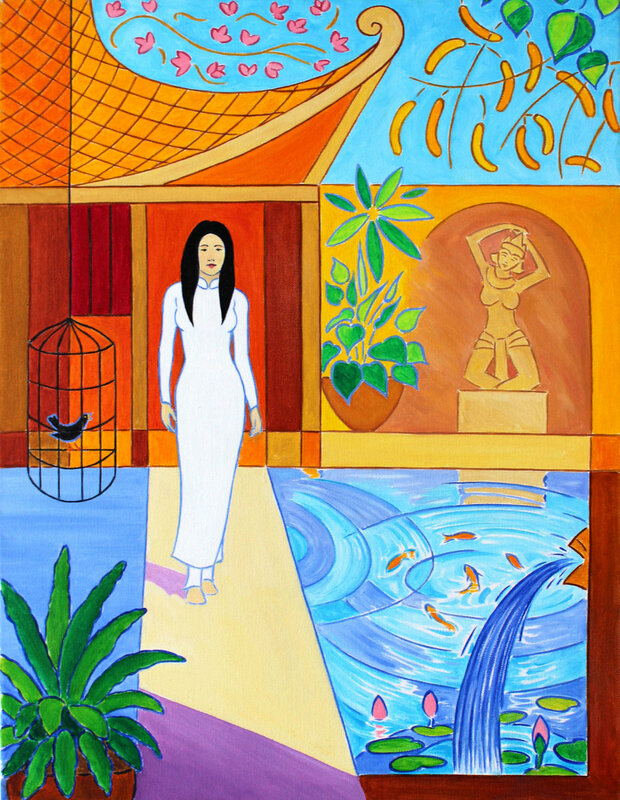 The painting, Spring, inspired by a visit to Thanh Chuong’s Viet Palace, has similar thoughts to that of Caged Songbird behind its creation too.